The Red Line Project won two categories and was a finalist in four others at the SPJ Region 5 Mark of Excellence Awards. Region 5 covers schools in Illinois, Indiana and Kentucky. The Red Line Project won a 2014 Associated Collegiate Press Online Pacemaker Award Nov. 1 at the ACP national convention in Philadelphia. The award honors the best in collegiate journalism, and it was the third consecutive year that Red Line received the award. 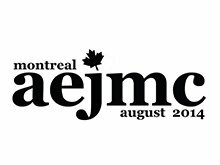 The Red Line Project picked up two awards at the Association for Education in Journalism and Mass Communication conference in Montreal in August. 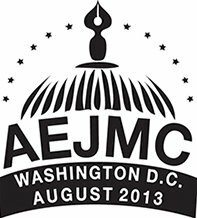 The site placed second in the AEJMC Visual Communication Division "Best of the Web"
design competition for its responsive redesign for mobile users. Journalism senior Scott Sutton was first in AEJMC's multimedia newswriting competition. AEJMC will honor Sutton at the organization’s 2014 conference Aug. 7 in Montreal. Sutton will receive a certificate of recognition and $100 for his winning entry. Sutton’s story, titled “4/15: Running Toward Recovery,” was a multimedia profile of Chicago runners who were at the 2013 Boston Marathon during the terrorist attacks. His story was produced in Mike Reilley’s Online Sports Reporting class in the Spring 2013 quarter and appeared on The Red Line Project website. The Red Line Project won four awards in three divisions at the Association for Education in Journalism and Mass Communication convention Aug. 7-11 in Washington D.C.
First place: Clayton Guse, Gun Violence in Chicago in the International Division Student Newswriting Competition. Third place: Joe Ruppel, Trumbull on CPS Hit List in the International Division Student Newswriting Competition. Third place: Red Line Project design in the Visual Communication Division "Best of the Web" competition. Third place: Instructor Mike Reilley in the Newspaper and Online News Division "Teaching News in the 21st Century" competition. Reilley also presented the site at the Newspaper and Online News, and Visual Communication Division meetings. Twenty-five graduate and undergraduate students worked on the project, which included coverage of President Obama's acceptance speech, key congressional races, voting trends, maps, a voter's guide, live blog and a feature story on homeless voters. Horizon Interactive Awards. The site placed second in the best college/university media website category. The site won a silver award the previous year. a May 4 ceremony at the Union League Club. The Lisagors, awarded by the Chicago Headline Club, were established in1977 to inspire Chicago-area journalists to follow his outstanding example and to recognize truly superior contributions to journalism. The awards are named for Peter Lisagor, The Chicago Daily News’ Washington bureau chief from 1959 to 1976, who was one of the nation’s most respected and well-known journalists. The Red Line Project won seven SPJ Region 5 Mark of Excellence Awards -- including two first-place finishes -- April 14 at a ceremony in Indianapolis. Winners will move on to compete at the national Mark of Excellence Awards against winners from 11 other regions. The Red Line Project's Chicago Sidelines section won first-place in the 2011 Editor & Publisher EPPY Awards Best College/University Sports Website category. The Chicago Sidelines site was created by DePaul University's first Online Sports Reporting class in Spring Quarter 2011. The Red Line Project also was an EPPY finalist for Best College/University Journalism Site and Best College/University Online Documentary (10 Remember 9/11). View all of the EPPY winners. The Red Line Project and its sibling site, ChicagoStorytelling, won four SPJ Region 5 Mark of Excellence Awards on April 2 at the SPJ Super Regional in Erlanger, Ky. Region 5 covers universities and colleges in Illinois, Indiana and Kentucky.